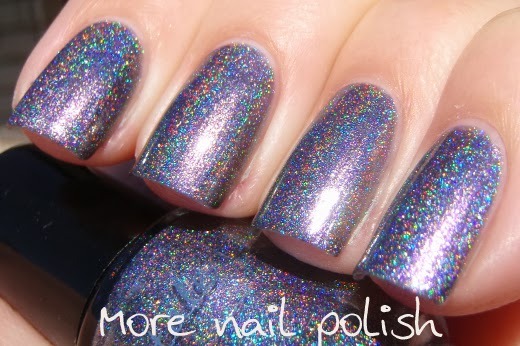 I'm still working my way through swatches of polishes I received during the 31 Day Challenge in September, and this little collection is one that I shouldn't have made you wait so long to see. 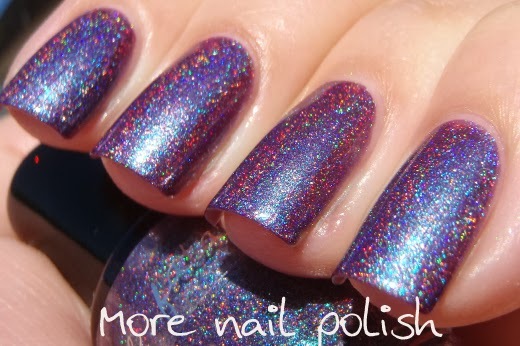 Femme Fatale Cosmetics recently released six new holographic shades, and they are all interesting and unique colour combinations. 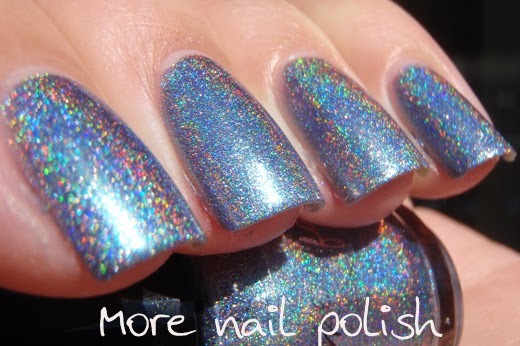 All photos are taken in the full natural sun light except the last photo of each polish which is taken indoors. 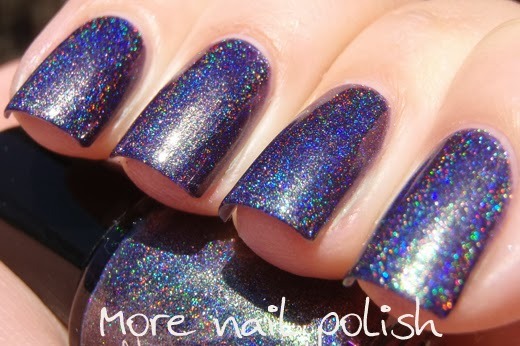 Burning Dusk - a dark plum holo with a strong blue shimmer that makes the polish look purple. 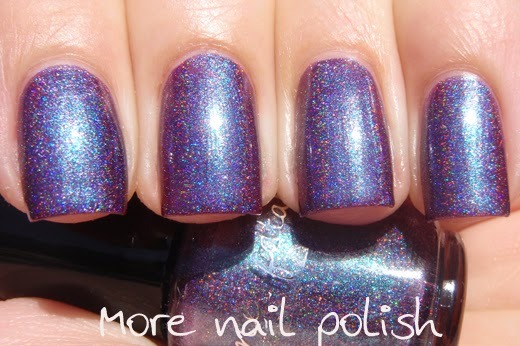 Two coats with Seche Vite top coat. 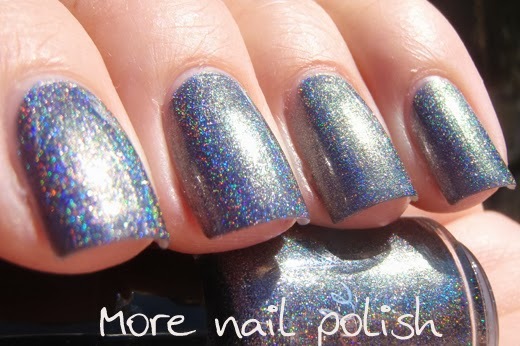 Glass Web - a holo with a slate grey base and a strong blue shimmer. 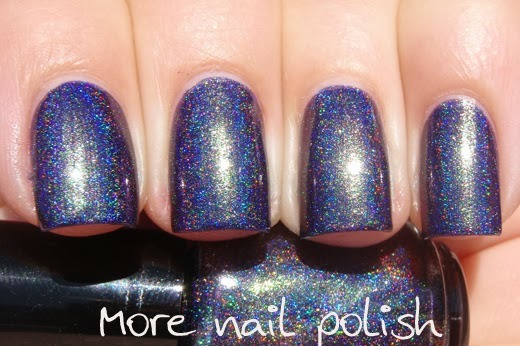 Two coats with Seche Vite top coat. 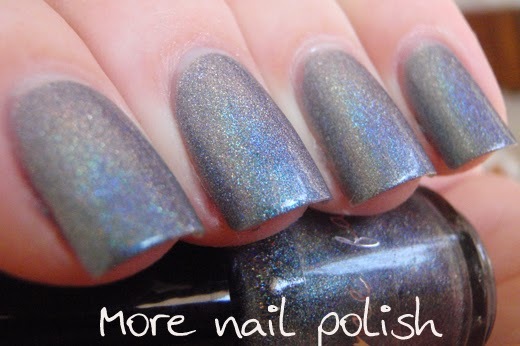 Gravity Lapse - a grey holo with a strong shimmer that shifts from pinky purple to olive green. 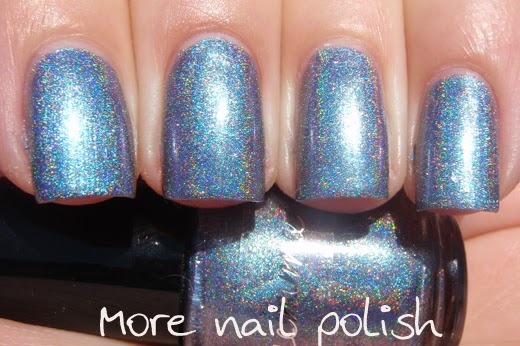 Two coats with Seche Vite top coat. How amazing does this one look indoors!! 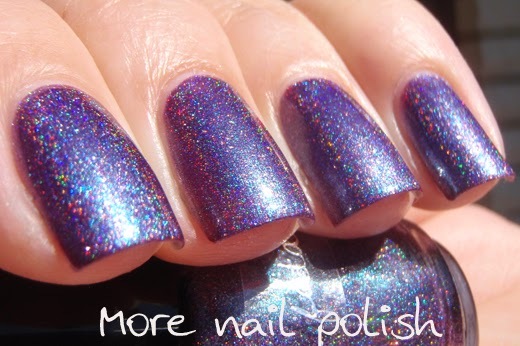 Maddening whispers - a dark purple holo with a strong olive green shimmer. 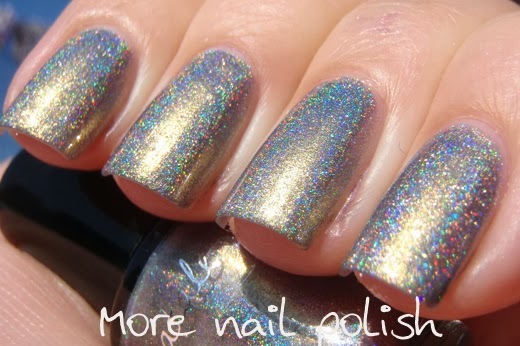 Two coats with Seche Vite top coat. 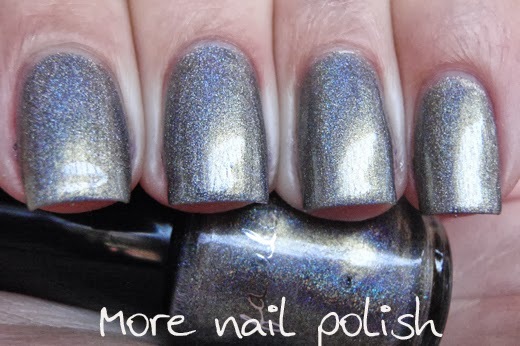 Mirror of dawn - a light grey holo with strong golden shimmer, it's basically a gold holo, but the grey base makes it much more interesting when viewed at an angle. 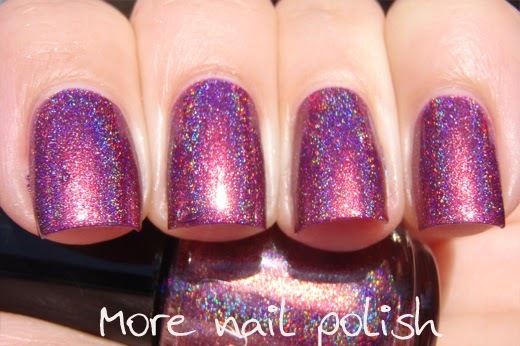 Two coats with Seche Vite top coat. 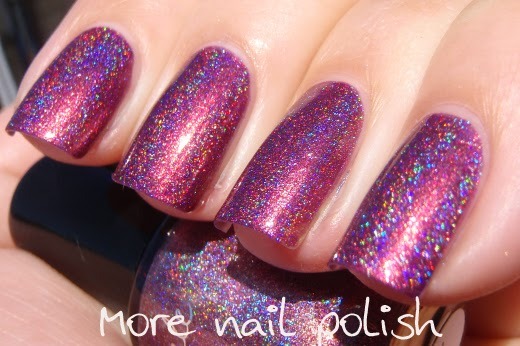 Ruby Hare - a medium berry pink with subtle copper shine and liner holo. 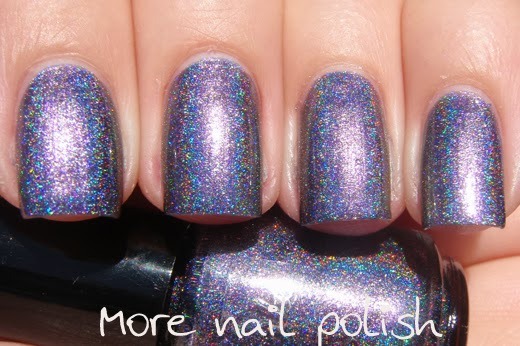 Two coats with Seche Vite top coat. The formula on all these was outstanding. They were all two coaters on their own and the colour combos are just gorgeous. 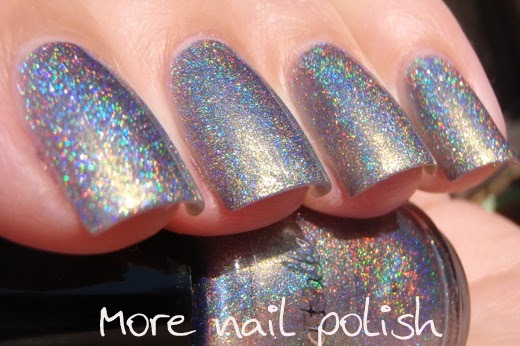 Many of them have a base tint in one colour and a shimmer in another. 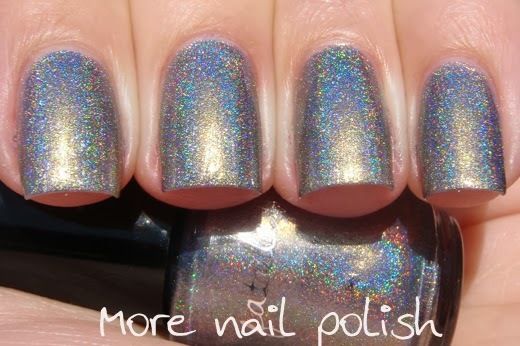 Because of this they are so much more interesting in low light compared to a regular holo. 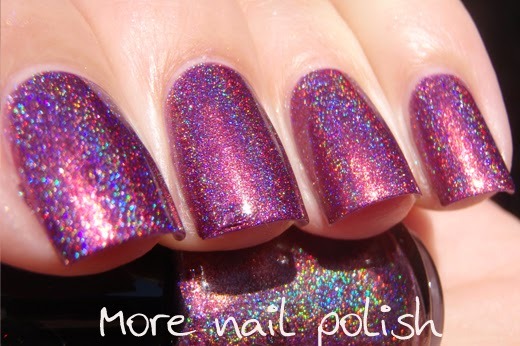 Femme Fatale polishes are available from the Femme Fatale Cosmetics website and these holos are AUD$12.50. 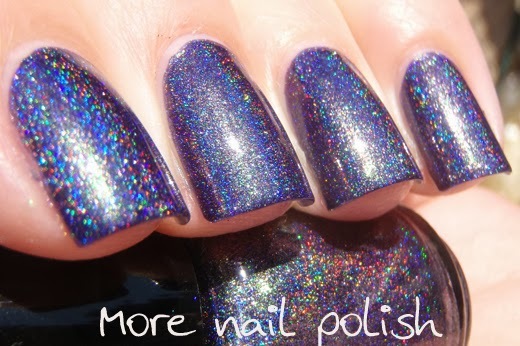 Femme Fatale is also now shipping internationally. I'm not sure what the fee is, but getting together with some friends for a group order would no doubt be the cheapest option. 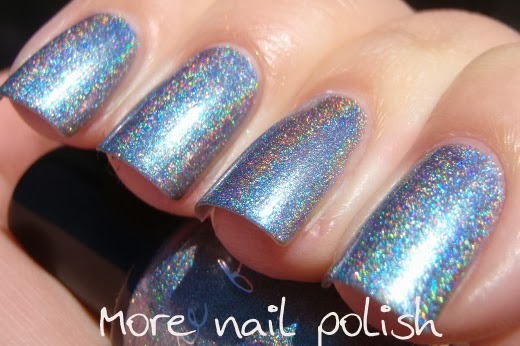 I LOVE holos! 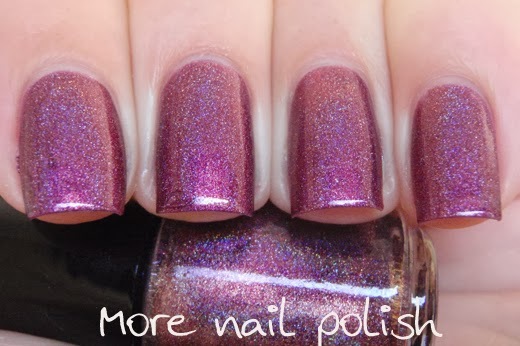 Yet to try Femme Fatale but Ruby Hare has caught my eye! Gorgeous photos as always, Cathy! Whoa Ruby Hare is Fantastic! Oooooo... They are all so pretty!! I got Gravity Lapse as a mini and just UNFF.